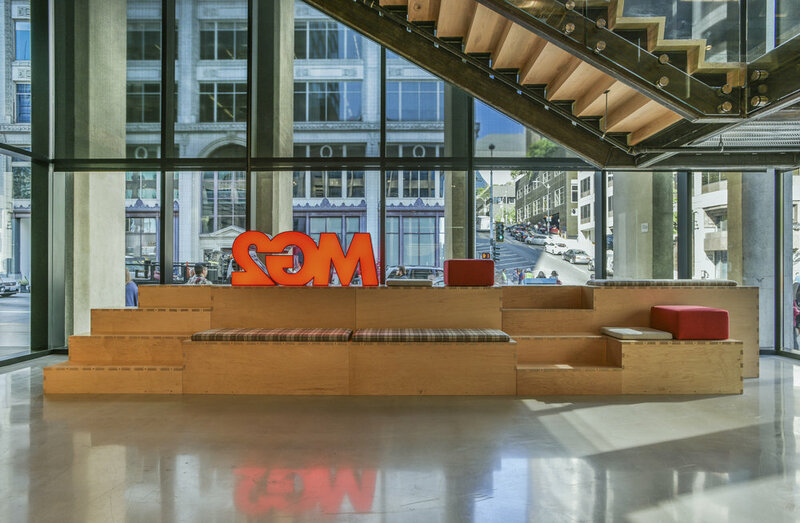 Movement was an important theme in the design of MG2's new Seattle headquarters. 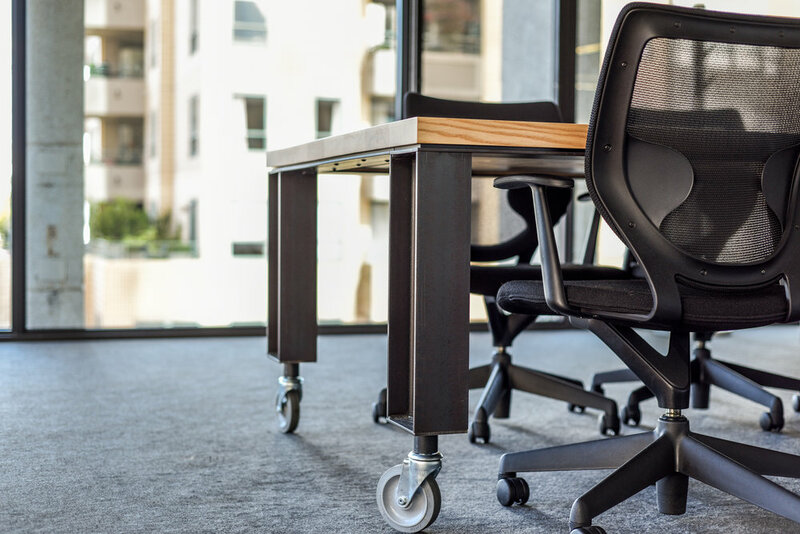 We worked with their team to create a custom suite of products that reflected the fluidity they hoped to achieve; from rolling meeting tables to waterfall workstations to a 18ft Maple conference table that flows through the length of the room. Move down the page to view more. 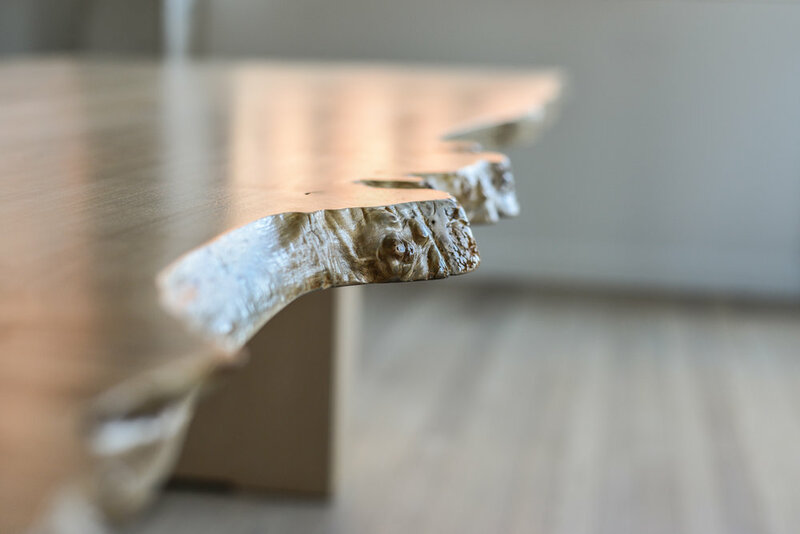 SCOPE A collection of custom pieces designed for the varied workplace environments. 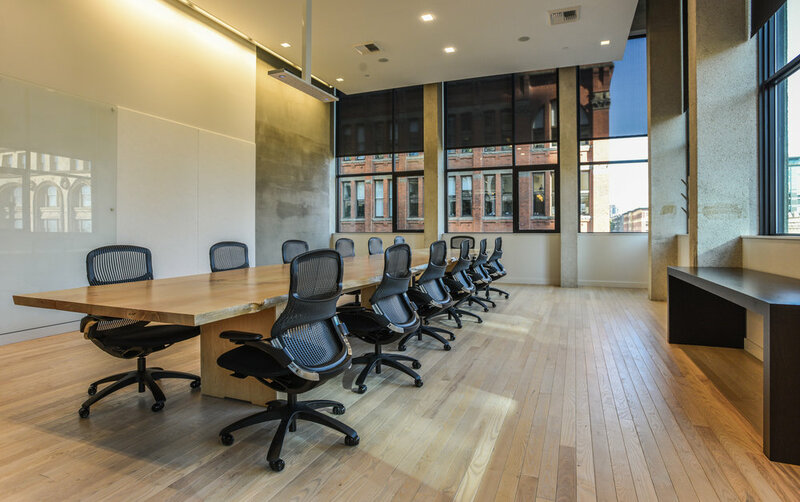 Bleachers & benches, rolling meeting tables, a custom conference table, lighting cages, waterfall bar-height tables, executive room tables, stair treads & a custom conference room credenza. 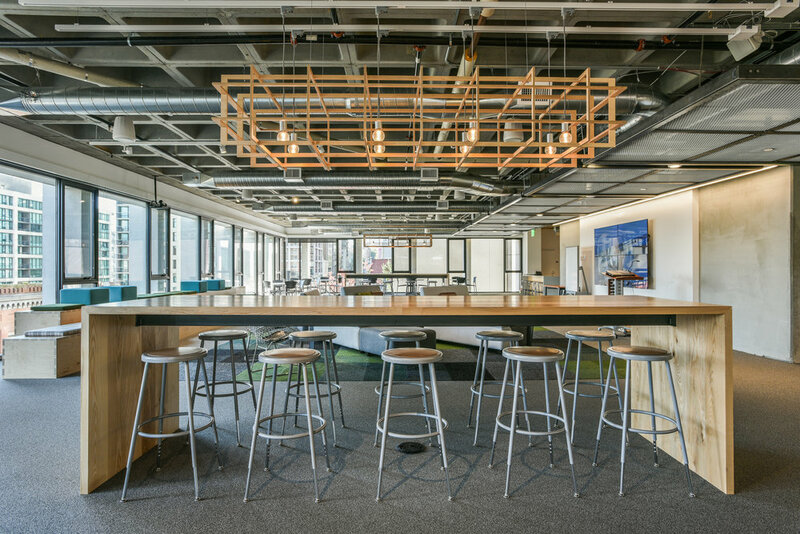 The project was over a year in the making from first meeting to design concept to installation with the final results producing a warm, modern space that celebrates light, wood & the people who work there. For more information about our design process and possible collaborations visit our design partnership page.